I haven't been making kugels for quite a while, opting for vegetables in their natural state, more or less. 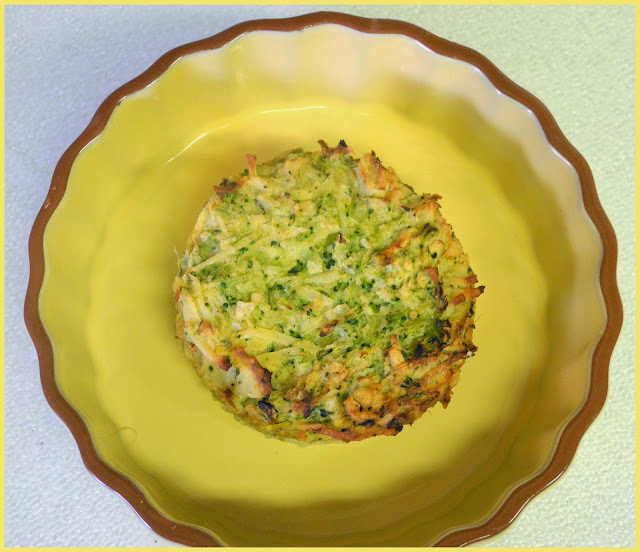 This week, a vision of a potato kugel with broccoli popped into my mind and I was determined to make it happen. Place potatoes, onions, broccoli and parsley in a food processor. Use the shredding blade. In a large bowl mix t the dry ingredients. Add potato mixture. Mix together. Add eggs and oil and mix these in. Pour the mixture into the pan and the muffin tin. Bake about 45 minutes. The top should be golden and turning brown. Serve hot. Eat and enjoy. Linked to Gluten Free Linky What Did you Do This Weekend? hi chaya, this was last mon's post. i'm not sure if it's still qualify to be included in this week's meatless monday, If cant, you can remove it. 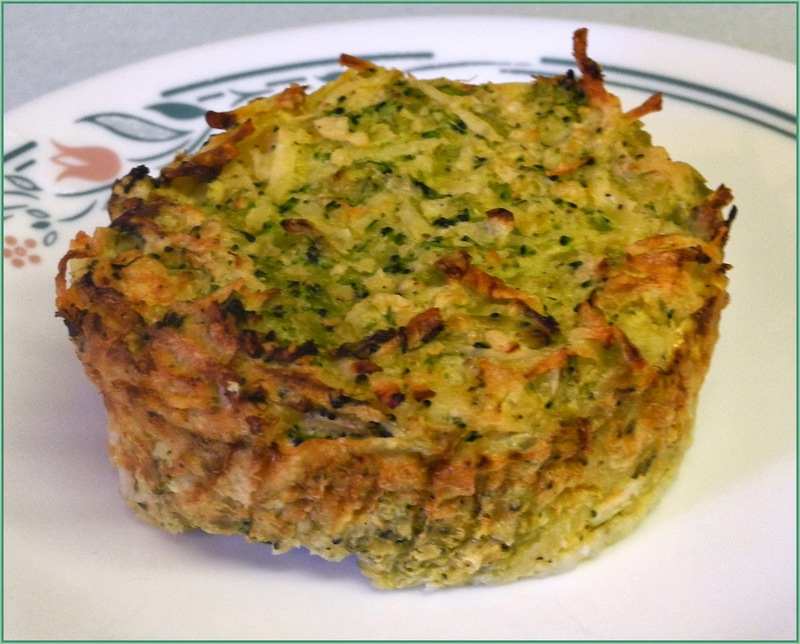 I just love your Kugel, and what a great idea to have a Broccoli Kugel. Hope you have a great week and thanks for hosting! 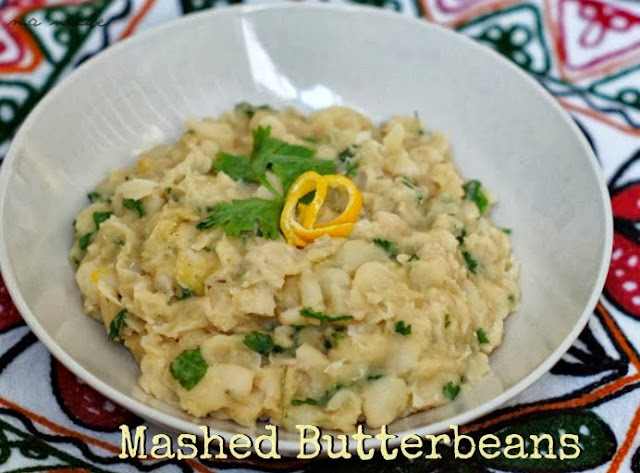 Thank you Chaya for featuring the Mashed Butterbeans. Have a wonderful week. I've never eaten a kugel, but I'd sure like to try one after seeing this. Your Kugel looks absolutely fantastic! Thanks for sharing at Simple Supper Tuesday. Dear Chaya, The kugel looks so inviting. I would love it. I must give this a try. Your kugel muffins look like a good breakfast to me, Chaya. But I've never had kugel before, so maybe having it for breakfast is odd? Thank you for linking! I think this would be a hit for a buffet. Thanks for sharing at What'd You Do This Weekend.